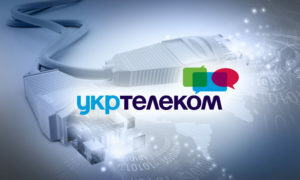 Ukrtelecom will invest around UAH 270 million in the development of the high-speed fiber optic Internet network using GPON technology in almost 300 small towns and villages. Almost UAH 135 million was raised from Slovenia’s SID Bank, a promotional development and export bank. “The start of construction of the fiber optic network is scheduled for the middle of May. The first connections to the new network will be already in July,” the operator said on Tuesday. “The loan is secured by the insurance policy of SID bank to cover commercial and non-commercial risks. In this project, SID bank acts as an export credit agency,” Ukrtelecom said. SALIC UK Ltd, the common investor in the merged business CFG/Mriya, plans to send over $50 million for boosting technical fleet in 2019. “Now there is new equipment for $10 million. This year it is planned to send more than $50 million to the technical fleet,” Chief Integration Officer of the merged company CFG/Mriya Georg von Nolcken said during the presentation of the new technology on Friday. In general, since the beginning of the year, CFG/Mriya has expanded its technical fleet with 60 units of agricultural equipment worth $11 million, and in the near future, another 190 units are expected to be delivered. For the harvesting campaign for the next few months, it is also planned to purchase combines, loaders and transport trailers. Mriya Agro Holding is a vertically integrated agribusiness, which was founded by Ivan Huta in 1992. The holding’s land bank is 165,000 hectares. Its grain elevators are able to store 380,000 tonnes. In August 2014, Mriya reported an overdue payment of about $9 million in interest income and about $120 million in repayment of debt on its obligations. The total debt to all financial creditors, taking into account the guarantees provided to the companies related to the Huta family, was about $1.3 billion at the time of the holding’s default. In early February 2015, the operating control of the holding was transferred to creditors who elected the new management, and in September 2016 the committees of creditors and bondholders of the holding agreed on the conditions for the restructuring of the company’s debt, which was estimated at $1.1 billion. The debt restructuring ended in August 2018. Mriya’s total debt burden decreased from $1.1 billion to $309.5 million, which included $49.3 million in restructured secured debt, $208.1 million in restructured unsecured debt (eurobonds), $46 million in working capital, and $6.1 million in assets under a new leasing program for the purchase of equipment. In September 2018, SALIC UK Limited announced the acquisition of the holding. The deal was completed in November 2018. Mriya continues operations in Ukraine together with SALIC UK’s subsidiary, CFG. The Saudi Agricultural and Livestock Investment Company (SALIC) was founded in 2012. Its sole shareholder is the Sovereign Fund of Saudi Arabia. The company invests in the production of agricultural and livestock products. CFG has been operating in Ukraine since 2006. It cultivates 45,000 hectares of land in Lviv and Ternopil regions. 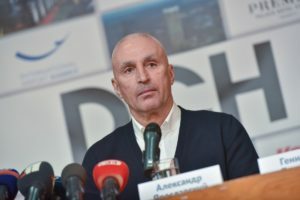 The DCH Group, uniting assets of Ukrainian businessman Oleksandr Yaroslavsky, under a strategy of increasing effectiveness of the mining and metal business has created DCH Steel, which will manage the respective assets: Dniprovsky Metallurgical Combine (DMZ, Dnipro) and Sukha Balka ore mining enterprise (Kryvy Rih). According to the information on the official website of DCH, the essence of the transformation is to optimally build a management system for mining and metal enterprises at the stage of implementing large-scale investment projects. According to DCH, Yaroslavsky plans to invest from $150 million to $200 million in his mining and metallurgical business over the next five years. Owning to these investments, in particular, the blast furnace stock of coke-chemical production will be restored at the DMZ and a continuous casting machine will be built, and at Sukha Balka it is planned to organize a processing plant, to develop ore deposit at deeper levels, and to upgrade equipment. “In the process of gradual vertical integration, the production chain ore mining-enrichment-agglomeration-smelting of iron will be formed,” the group said. According to the press release, at the level of DCH Steel, general management functions will be centralized, and manufacturing companies will focus their efforts on production and improvement of technology. The expected results of optimizing the management of the mining and metallurgical business of the DCH are to eliminate dependence on external supplies of sinter, to ensure a positive synergy of the activities of the DMZ and the mining enterprise, which should increase competitiveness and sustainability, as well as improve financial performance. The state-owned enterprise (SOE) Ukrspyrt in 2019 will invest UAH 311 million in the electronic finished and shipped product accounting system and modernization of production facilities, the press service of Ukrspyrt has told Interfax-Ukraine. The press service said that investment in the introduction of the e-accounting system would be around UAH 40 million. In addition, the company plans to install feed additives lines at the sites where the company operates in Lviv and Sumy regions with an annual total production capacity of 32,800 tonnes. 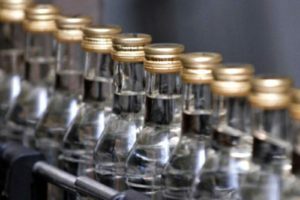 Ukrspyrt also plans to expand production of raw spirit by 9,800 tonnes at the sites in Lopatyn and Sukhodoly, launch production of bioethanol with an annual capacity of 24,400 tonnes in Storonybaby (all based in Lviv region), modernize the production site in Tkhorivka (Kyiv region) for production of service fluids with a total capacity of 4,080 tonnes a year. The press service said that Ukrspyrt plans to install energy saving equipment at two sites in Lviv region and one site in Sumy region. 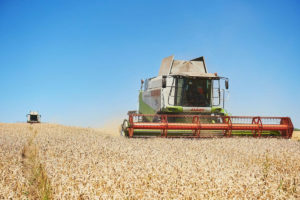 In March, the company’s strategic plan for 2019-2023 with investment of UAH 1.53 billion was approved by the Agricultural Policy and Food Ministry of Ukraine. “First of all, these funds will be sent to the production of new types of products (bioethanol, raw spirit, high-protein feed additives, biogas and carbon dioxide), as well as the installation of energy saving equipment. In addition to our own funds, we plan to attract short-term funding from Ukrainian banks,” the press service of Ukrspyrt reported. The company is also considering investments from foreign partners. In particular, Ukrspyrt is holding talks with Chinese partners on investments in the production of bioethanol and additional products on the basis of three existing production sites. Radar Tech, the developer of sectoral corporate accelerators, has become a partner of the Polish investment fund Impera Alfa Fund, a member of the Radar Tech team, managing partner of Unit.City Max Bakhmatov, said on Facebook. “Finally they are ready to give money to startups: Radar Tech became a partner of the Polish fund Impera Alfa. Together with the partners we are ready to invest up to EUR 250,000 [20% should be used for R&D), even at the proof to concept stage,” he said. Radar Tech and Impera Alfa plan to invest a total of EUR 2.5 million in Ukrainian startups. 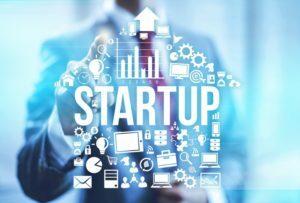 “First of all, we consider those solutions that were submitted to us earlier or will be submitted to MHP Accelerator 2.0,” Bakhmatov said. Impera Alfa Fund is a Polish venture fund that invests in startups at early stages. As reported, earlier Radar Tech, Agrohub and Myronivsky Hliboproduct (MHP) began accepting applications for participation in the second MHP Accelerator 2.0 agricultural startup development program focused on search, acceleration and integration of innovative technologies in agribusiness.